Food is medicine. Food is life. Food is nature’s love in every bite. As a practitioner of Ayurvedic medicine, a Vedic Healer and Yogi, I have witnessed many people transform their lives simply by changing their relationship with food. The power of natural herbs, pure grains, organic vegetables and fruits to nourish, facilitate healing, foster health and wholeness, and feed a newly inspired life can be astonishing. I first created the Dancing Plums line of intelligent foods to support my family’s health: to nourish a teenager, soothe the digestive issues of a sister, calm the anxiety of a bereaved mother, rejuvenate a grandmother and to strengthen the bones and organs of a husband whose career as a network news foreign correspondent left his body ravaged by war. I also wanted to extend the genius of these natural formulas to my friends, students and clients to help them reduce disease, weakness, depression and the everyday stress of their daily lives. 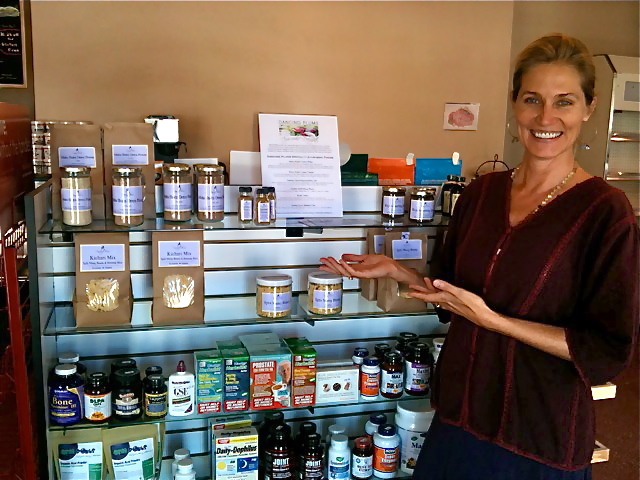 So I began to package our everyday foods and made them available from my clinic and at local markets. It is no exaggeration to say that the products have been flying off the shelf. In this era of obesity and devastating diet-related illnesses, it is no surprise are looking for accessible alternatives. I feel passionately that health is a birthright, that eating for health can be a sumptuous delight, and that the right combinations of simple ingredients can make us feel loved, allowing us to live life strong, with greater clarity, power, intelligence and purpose. With the right foods made available, accessible, convenient and delicious, individuals everywhere can reclaim their power to be healthy and free. We call the collection “Dancing Plums” because these sweet, herbal, In-Love-With-You edibles are so full-body delightful, it feels like sugar plums dancing your body fantastic. Food is nature’s genius, and smart foods support your natural genius. Dancing Plums’ intelligent foods bring your inner genius alive.